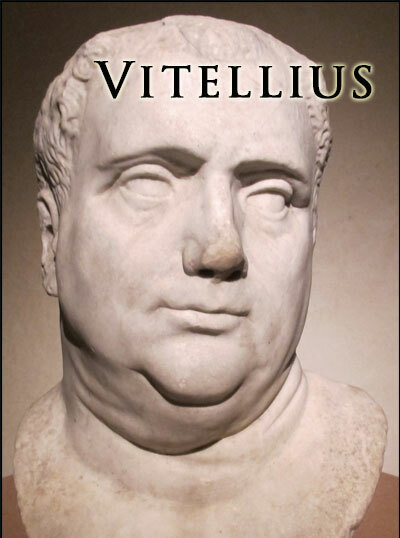 Vitellius defeated Otho and made himself Emperor of the Roman Empire. His throne lasted 8 months and when Vespasian was heralded as Emperor by the legions at Africa and Judaea he came to face Vitellius. 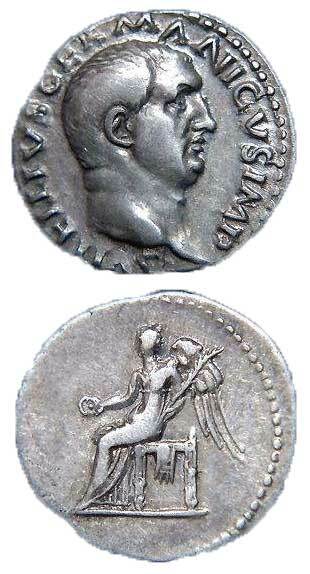 Vitellius had much less military experience and he was defeated and killed by Vespasian. This all happened in the year 69 A.D., and this was referred to as the Year of the Four Emperors - Galba, Otho, Vitellius, and Vespasian. Vitellius spent much of his youth on the Island of Capri with the corrupt Tiberius. Suetonius referred to Vitellius and his two vices, he was a "Glutton" and a "Gambler." In one year the Roman empire had witnessed the death of Nero, the accession of Galba and Otho and then the deaths of them both. 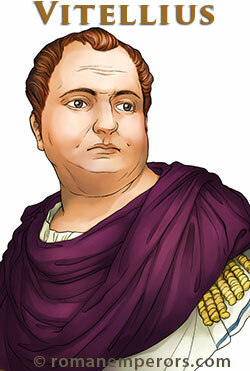 They also witnessed the accession of Vitellius with all his debauchery and then his gruesome death. Then shortly after they witnessed the proclamation of Vespasian, this all happened in one year... 69 A.D.